Japanese toy maker MegaHouse has opened pre-orders on the newest figurine in their "Dragon Ball Gals" range, and this one... heh... you could say is *ahem* "over 9000." 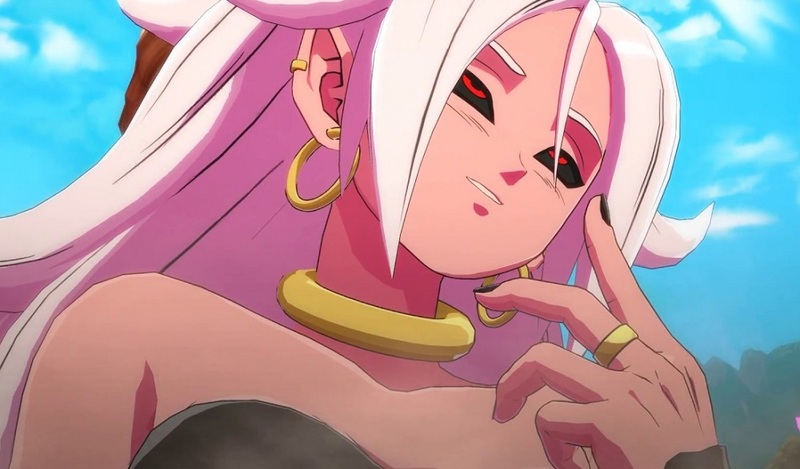 Yes indeed, it's none other than the star antagonist of Namco Bandai's Dragon Ball FighterZ, Android 21. Created specifically for the great 2018 tag-fighter, this psycho-scientist is renown for her multiple modes of attack, ability to absorb skills, and penchant for turning her opposition into cupcakes and chowing down on them. Megahouse' take on the pink minx stands just over eight inches tall and comes with interchangeable "Good" and "Evil" faceplates. Planned for release in late June, Android 21 is currently available to pre-order over at amiami and other outlets, costing around ¥10,000, or roughly $90. There was a time where I bought such figurines with reckless abandon. I'm not really in a place to do that now, but I do love this design, so I'mma get saving. Dragon Ball FighterZ is available now on PS4, PC, Xbox One and Nintendo Switch.